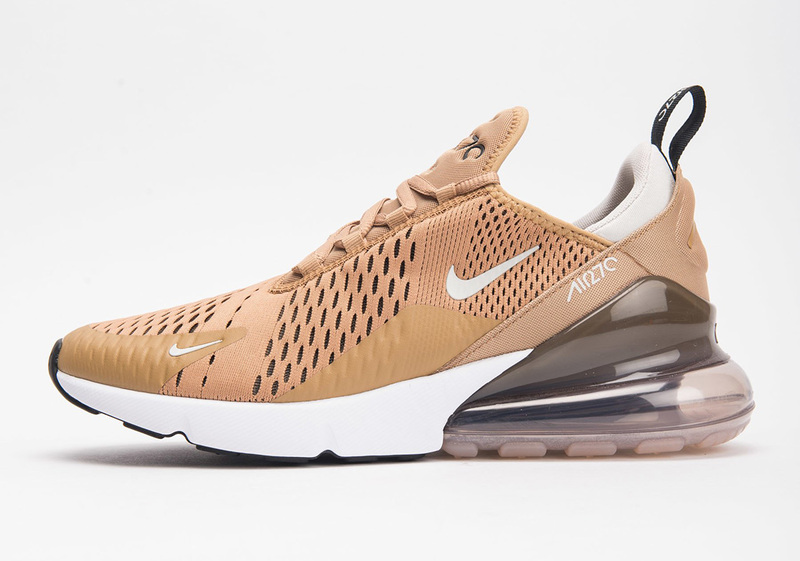 Nike’a new Air Max 270 silhouette continues to be introduced in a new and intriguing GR colorways the likes of this “Elemental Gold” variety you see here. Utilizing its mesh upper, the Swoosh Brand adds a large chunk of that hue while mixing in Black and Light Bone for contrast – allowing its regal golden aesthetic to take center stage. In customary fashion, its lifestyle-geared heel unit sports a semi-translucent look that matches the overall color scheme seen throughout the sneaker. Those looking for another 270 to add to their Summer rotation can pick this pair up from select overseas retailers the likes of SVD today.